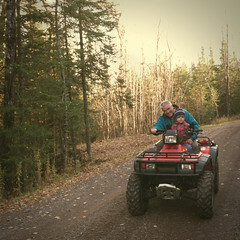 Riding the four-wheeler with "Bubba." 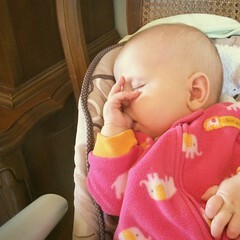 Sweet baby hands that no longer like to be swaddled. 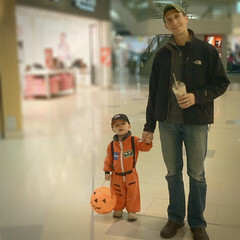 A space man getting some candy. 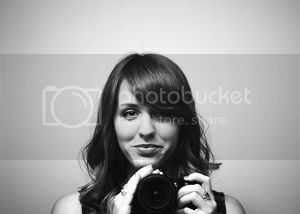 A strawberry posing for her picture. 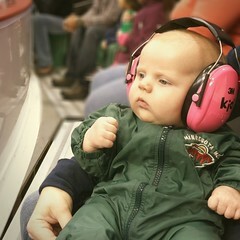 Attending her first hockey game with ear protection- GO MINNESOTA WILD! 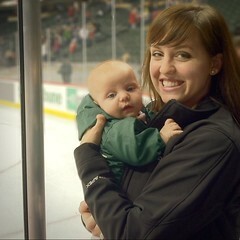 Mama and Evie snuggling after the game. 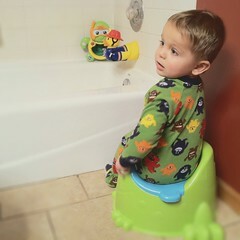 Learning important life lessons, like the fact that we sit on the potty. Losing the battle of nuk versus thumb. 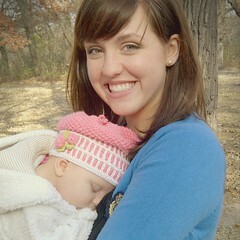 Cuddling with mama at her great-grandma's eightieth birthday party. Trying on mama's shades. 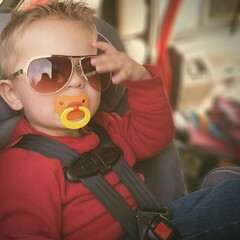 what a cute picture of Nathaniel with those shades on! he looks like he should be in Top Gun! and that little strawberry costume is adorable! Thanks Miranda! 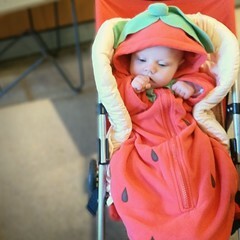 And I fell in love with the strawberry costume too- it was perfect since it was nice and toasty so she could wear it all day!